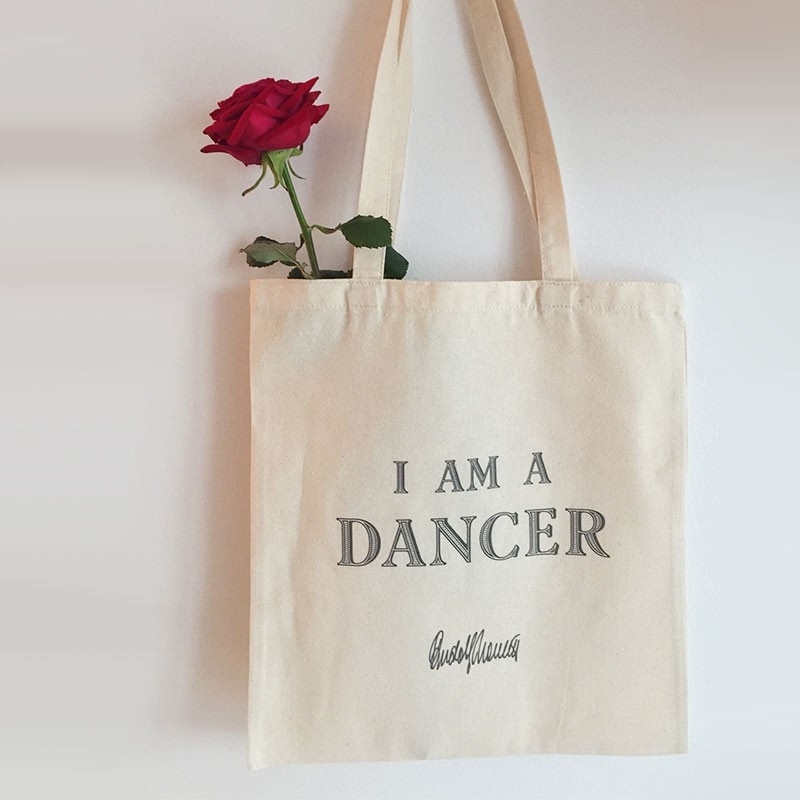 Exclusively designed with the quote "I am a dancer", we all need a tote bag! 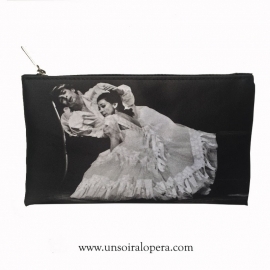 Perfect for your daily catch-all: dance gear, pointe shoes, whatever you need it for, just the perfect tote for you. Whatever kind of dancer you are, you can find inspiration in Nureyev's words. 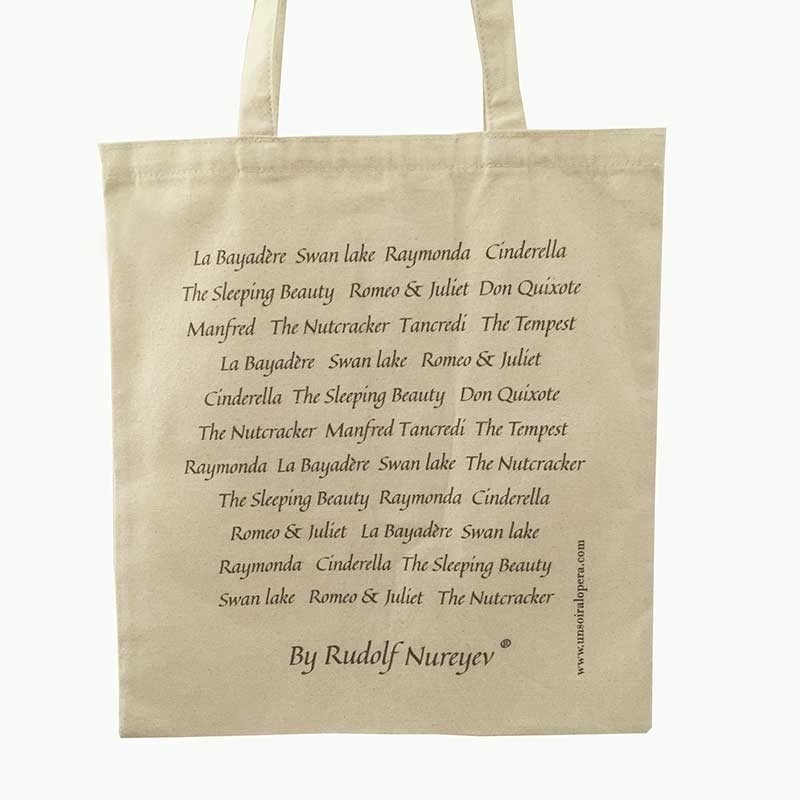 On the other side of the bag, you will read the titles of Nureyev's choreographies.